DAR es SALAAM, Tanzania, August 25, 2011 (ENS) – Tanzanian officials have confiscated 1,041 elephant tusks they found hidden in sacks of dried fish at the Port of Zanzibar, authorities said on Wednesday. The island of Zanzibar is located in the Indian Ocean, about 22 miles off the coast of mainland Tanzania. Shipping documents for the container in which the elephant tusks were discovered show the destination as Malaysia. 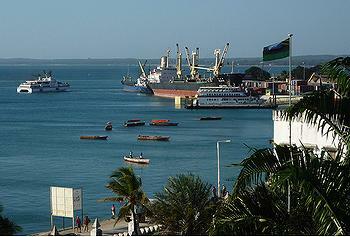 Two suspects are in custody and are being questioned, Zanzibar police spokesman Mohammed Mhina told Reuters. “Interpol officials from Dar es Salaam have arrived to investigate the incident,” he said of the international police force. The seizure comes as 27 wildlife law enforcement officials from 11 Southern African countries gather in Gaborone, Botswana this week for a training session on the prevention of illegal trade in wildlife given jointly by Interpol and the nonprofit International Fund for Animal Welfare. The Convention on International Trade in Endangered Species, CITES, approved a complete ban on trade in ivory in 1989, following a decade of bloodshed when 700,000 elephants were slaughtered. But since then there have been numerous concerted efforts to re-open legal trade, and two legal sales of ivory approved by CITES. The elephant battles at CITES are truly something to behold. Elephant and ivory trade discussions are possibly the most divisive and contentious issues discussed by the 175 countries that have signed the treaty. In 1999, CITES approved a legal export of 58 tonnes of ivory from Zimbabwe, Namibia and Botswana to Japan. In 2008, China joined Japan as an approved “ivory trading partner” in a decision that the United Kingdom government justified at the time as an attempt to satisfy demand and thus reduce poaching. 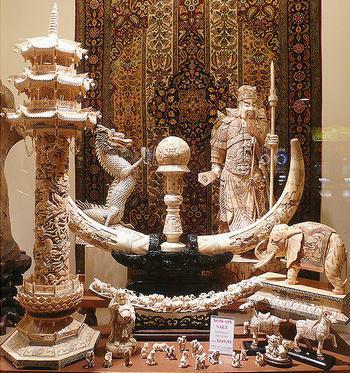 In 2009, the second CITES-approved shipment of 108 tonnes of ivory to China and Japan took place, despite an international outcry that such legal trade would surely only stimulate demand, and therefore increase poaching. 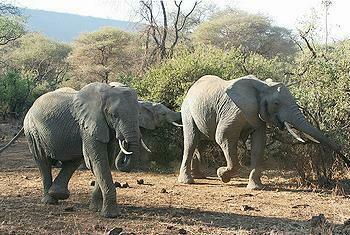 In 2010, Tanzania and Zambia both asked CITES for approval to sell their stockpiled ivory. However, a group of 23 African elephant range states, known as the African Elephant Coalition, prevented this from happening. More ivory trade proposals are predicted for future CITES meetings, which take place every three years. Conservationists point out that elephant poaching levels now are rising. “Seizures of illegal ivory this year alone run into tens of thousands of kilos; and the price of illegal raw ivory in the Far East has risen exponentially,” Travers said. A recent report by the EU-funded Monitoring the Illegal Killing of Elephants Programme (MIKE) reveals an upward trend in poaching across East, Southern and Central Africa. “There are not enough elephants left on this planet to meet Asian demand for ivory,” said Shelley Waterland, Born Free’s wildlife trade expert. As a matter of urgency, Born Free is calling for China’s status as an approved ivory trading partner to be withdrawn. The group says all countries should agree that future proposals to sell stockpiled ivory be abandoned. The conservationists are calling on Interpol and the Lusaka Agreement Task Force to step up measures to infiltrate and destroy the organized criminal gangs that operate the poaching syndicates responsible for the current high level of illegal elephant poaching. In addition, conservationists say money is needed to support law enforcement. “What elephant range states now need is the commitment of the international community to financially support these highly skilled and motivated trainees to be able to meet the task of protecting elephants and stop the legal trade in ivory which facilitates poaching and illegal trade,” said Alie. An African elephant trust fund for the implementation of an African Elephant Action Plan was launched last week at a meeting of the CITES Standing Committee, which manages the affairs of the agency between the tri-annual meetings. CITES officials and conservationists are urging the international community to join the Netherlands, France and Germany in donating to the African Elephant Fund, which has a goal of $100 million over the next three years. The fund is intended to help pay for priority elephant conservation actions identified in the African Elephant Action Plan, which has been agreed by all 37 African elephant range states.